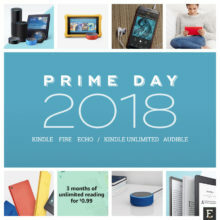 Tips, tricks, news, deals, cases, accessories, and guides for users of Amazon Fire tablets. 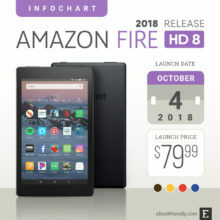 The new tablet supports 400 GB microSD cards, costs $79.99, and is already available for pre-order. 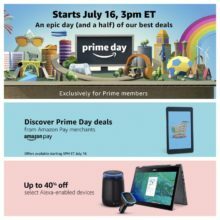 Get ready for the biggest deals yet on Alexa-enabled products. 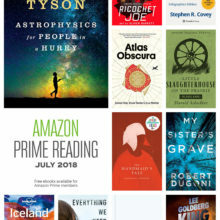 Deals on Audible and Kindle Unlimited have already started. 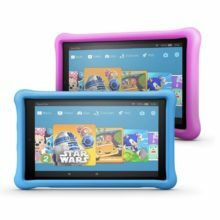 You can save $100 if you buy two new kid-proof variants of Amazon’s 10-inch entertainment tablet. Margaret Atwood’s The Handmaid’s Tale is leaving the list, but several new books are coming, including original Bloodlands series. 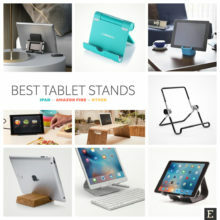 We’ve rounded up the most interesting designs: portable stands, cookbook stands, car mounts, charging stations, and home decor. 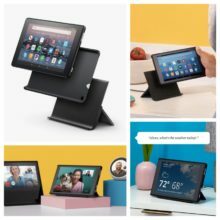 For iPad / iPad Pro, Amazon Fire, and other tablets. 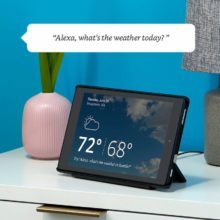 Is the show over for Echo Show? 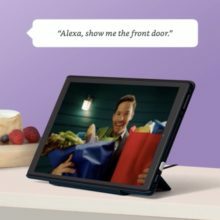 By introducing Show Mode for Fire tablets accompanied by a dedicated charging stand, Amazon makes us ask: Alexa, what will happen with Echo Show? Show Mode Charging Dock will let you ask your Fire tablet for audio and video responses from across the room. 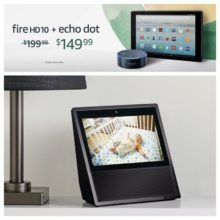 You can save $70 on Echo Show, or get a free Echo Dot with a purchase of Amazon Fire HD 10 tablet.